Jill Green, Cofounder, and Director of Green Imaging Technologies, Inc (GIT), is the Chief Executive Officer of the company. 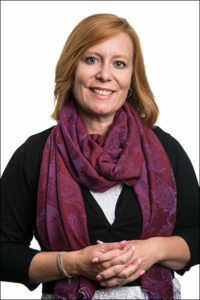 Jill has served in this capacity since the company was founded in 2006. GIT specializes in developing nuclear magnetic resonance (NMR) solutions for the oil and gas sector. The products and services are used to measure valuable rock and fluid properties to assist the oil and gas companies to make critical decisions related to exploration and production. Jill Green graduated from UNB with a Bachelor of Science in Civil Engineering. For over 20 years, she has worked in both the public and private sectors managing multi-million dollar projects for major public and private corporations. Through her career, Jill has had many opportunities in different areas including managing a Public Utility responsible for 23 communities, was a partner in a mid-sized engineering firm and owned her own consulting business. Much of Jill’s experience was gained in the USA but in 2006, she returned to Atlantic Canada to start GIT and commercialize technologies developed at the UNB MRI Research Centre. In addition to Jill’s responsibility as CEO, she is also the Marketing Director for the Society of Core Analysts, serves on the Board of Directors of the New Brunswick Innovation Foundation (www.nbif.ca) and the First Angel Network (www.firstangelnetwork.ca). Jill also volunteers her time with various youth sports organizations. Derrick holds a Bachelor of Science and a Ph.D. in Electrical Engineering from the University of New Brunswick. After graduation, Derrick worked as a Senior Research Scientist for a major medical MRI manufacturer in Cleveland, Ohio (Philips Medical Systems) where he filed his first patent. His focus at Philips was software product development and designing complex MRI measurement techniques (for moving “samples” like the human heart). He was responsible for lifecycle management of Philips software and introduced quality control systems to allow them to become ISO9000 certified. Derrick is a co-founder of Green Imaging Technologies and has acted as the company’s Chief Technical Officer since it was incorporated in 2005. Derrick’s technical expertise has allowed GIT product offerings to increase significantly, as is evidenced by his over 30 peer-reviewed publications and five patent filings. A selection of Dr. Green’s publications are listed on the Publications page. 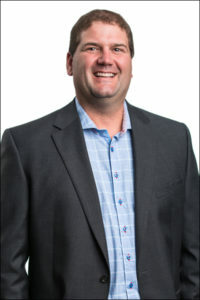 Derrick was recently named an Adjunct Professor in the Department of Mechanical Engineering, Faculty of Engineering at the University of Manitoba. 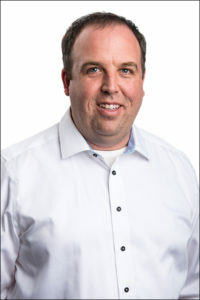 Mark has over 15 years experience in helping clients find the right IT solution for their needs. Mark brings extensive sales and marketing experience to the GIT team, as such, heads up marketing activities and oversees all customer contact. Past experience in international software sales and project management ensure that GIT’s clients, and potential clients, receive the best possible customer service. Mark’s strengths include written and verbal communication skills, account management, technical sales and marketing of technology-driven products and services. Mike has a Bachelor of Science degree from the University of New Brunswick. 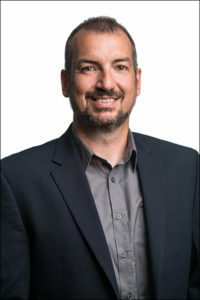 His post-graduate work focussed primarily on molecular physics and included both a Masters degree from the University of New Brunswick and a Ph.D. from the University of Waterloo. After graduation, Mike’s career diversified working first in astrophysics while doing a post-doctoral fellowship at NASA’s Jet Propulsion Lab. Following this position, Mike moved into the field of nuclear physics in Chalk River Ontario with Bubble Technology Industries (BTI) as a research scientist. His work with BTI focussed primarily on developing unique radiation detectors for defense and homeland security organizations, first responders, space agencies, regulatory/standards groups, and research institutions. This work has resulted in three patent filings. Mike joined the Green Imaging Technologies in September 2015 as a Principal Research Scientist. Mike works closely with our research team innovating new NMR techniques and tools for our clients. 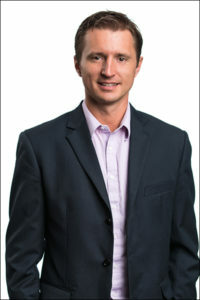 Dragan Veselinovic is the Senior Applications Specialist for Green Imaging Technologies. He holds a Master’s of Science in Physics degree from the University of New Brunswick. Dragan has worked in several capacities at GIT, which has allowed him to become the “Go To” person for our customers. Dragan has conducted research, managed the laboratory, and trains all new customers. He has software and testing knowledge that allows him to help our customers solve their day-to-day problems. He also plays an important role in many of the research and development projects undertaken by GIT. 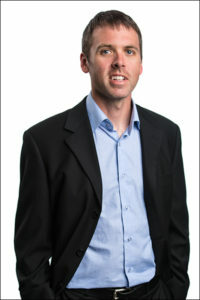 Dragan also serves as the Secretary on the Board of the Maritimes Section of Society of Petroleum Engineers. Josh holds a Masters in Computer Science. Prior to joining GIT, Josh worked for several firms developing software on various platforms and ensuring quality implementation. In his role as Senior Software Developer, he is responsible for all software development, taking into account customer feedback and market trends guided by consultation with marketing and sales staff and customer support staff. His strengths include computer hardware design, software quality control, and practical development experience.